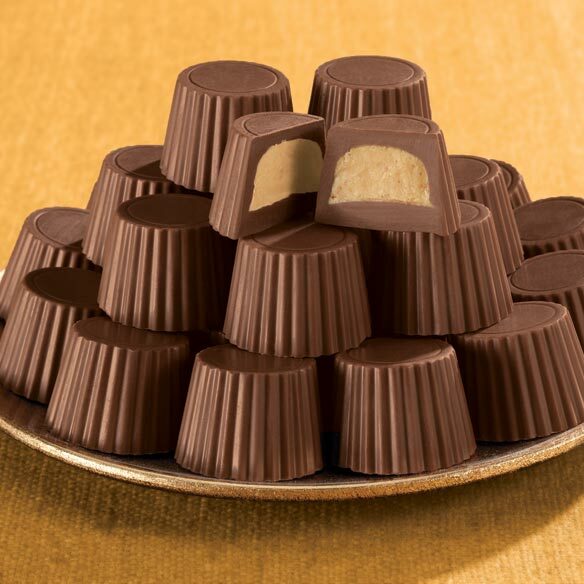 The beloved peanut butter cup gets a luxurious makeover ... a marvelous, milk chocolate mini, irresistibly rich and surprisingly, deliciously sugar-free! Sugar free mini peanut butter cups are creamy, dreamy confections sweetened with Maltitol for guilt-free goodness and sweet satisfaction. 12 oz. Pricey unless it's on sale. These were really enjoyable and hit the spot. Wish that I had more. It is hard to find good things that are sugar-free. So was glad to see this. Being diabetic and loving chocolate these have a great taste without the sugar. Easy comforts has best sugar free candy. How many carbohydrates are in each cup? BEST ANSWER: Thank you for your question. 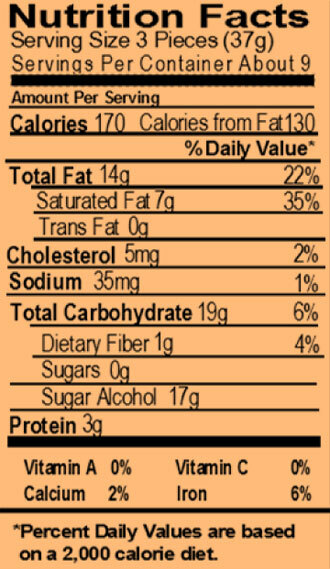 There is 6% carbohydrates per one serving which is 3 pieces. We hope this information will be of help to you.